Taken near Santa Monica Blvd. and Gardner. This is a first. 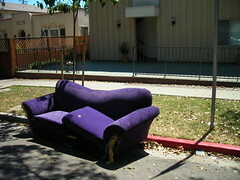 Honestly, I’ve never seen a purple couch before. Photo taken near Santa Monica Blvd. 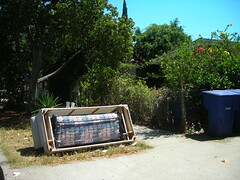 and Gardner St. in West Hollywood. 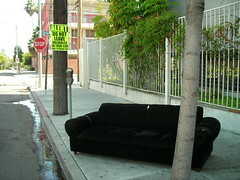 This couch was spotted on a Sunday morning near the location of two really huge nightclubs near Santa Monica Blvd. 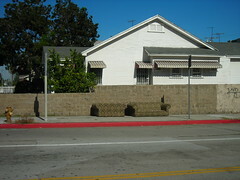 and Las Palmas in Hollywood – it’s also noteworthy that there are NO houses on this block, so it had to be hauled to it’s location by someone. I’m all for combining errands – go clubbing and drop off a couch. Hey, it saves gas, right? Fountain Ave. near Wilcox Ave. in Hollywood.